Research papers on renewable energy sources explicate the environmental issue of renewable energy. Paper Masters can custom write research on renewable energy for science or environmental courses. Given the extensive amount to which carbon emissions are affecting the world’s climate, individuals, corporations, and governments are involved to vary degrees in the search for renewable energy sources that are not dependent upon fossil fuels. The major sources of renewable energy come from sunlight, wind, and geothermal heat. As much as 20 percent of current energy consumption now comes from renewable sources. Wind power is one of the major emerging renewable energy sources. The air is used to run wind turbines, found in wind farms. Wind farms are ideally situated in places where winds are stronger and more consistent, such as at high altitudes on mountaintops, or offshore. A number of wind farms are currently in operation in the Baltic Sea, providing electricity to Germany, Denmark, Sweden, and Finland. Solar energy is another major source of renewable energy. Solar technology can be divided into passive or active solar energy, depending on the way that sunlight is captured, converted and distributed. The biggest obstacle to solar energy is in areas where there is insufficient constant sunlight, but advances in photoelectrics has made this a more affordable and efficient way to generate electricity for individuals and power companies. Substitutes for Natural Gas - Other competing sources of energy are coal, nuclear power, hydropower and non -hydro renewable energy such as solar or wind power. Combat Global Warming - China's Environmental Policy Research Papers help outline the current environmental policy of China in relation to political science and economic issues. Acid Rain - Acid Rain Research Papers discuss the effects it has on the ecosystem. Nuclear Power Problems - Nuclear Power Problems Research Papers examine the destruction caused from nuclear accidents. 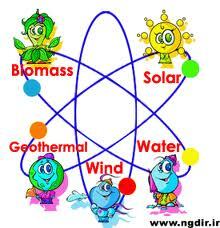 Nuclear Energy - Nuclear Energy research papers examine a few alternative energy sources. Paper Masters writes custom research papers on Renewable Energy Sources and delve into the energy sources used to replace conventional fuels to cut down on carbon emissions that affect the earth's climate.